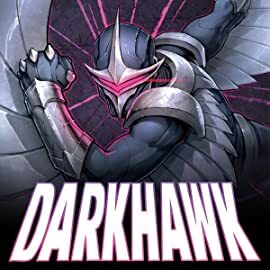 Years ago, Chris Powell discovered a mysterious amulet that allowed him to transform into the spacefaring gladiator known as DARKHAWK. With his newfound edge against crime, he stood against some of the most extreme threats the Marvel Universe has to offer! 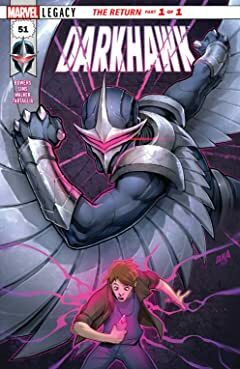 Now, when two members of the Fraternity of Raptors descend on New York with designs on stealing the amulet and returning it to the stars, it's not Darkhawk who has to rise to the challenge…it's Chris Powell!